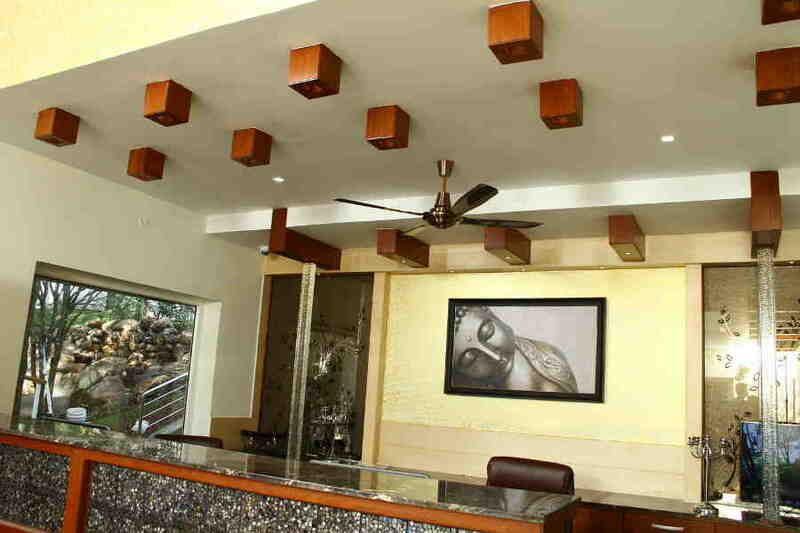 Use the form below to inquire about Resort Near Shervarayan Temple . 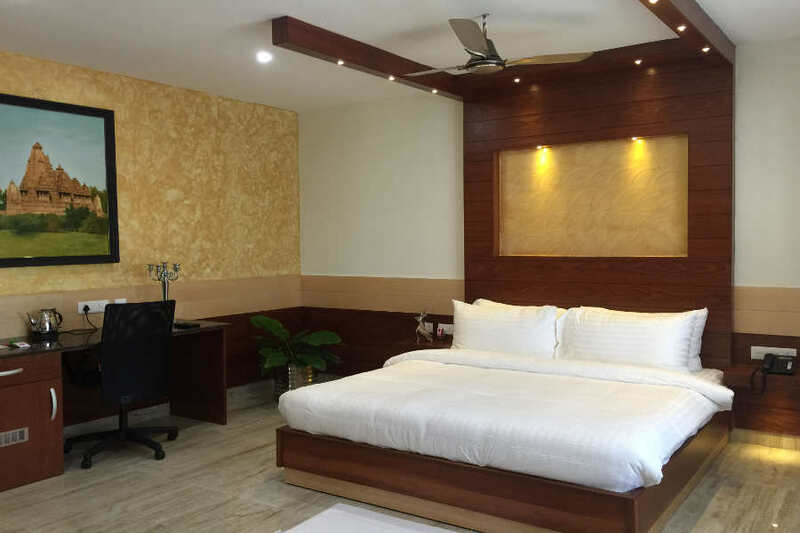 Use the form below to reserve for Resort Near Shervarayan Temple . This is a duplex 2 bedroom villa offering breathtaking views of the orange orchards and the silver oak trees. 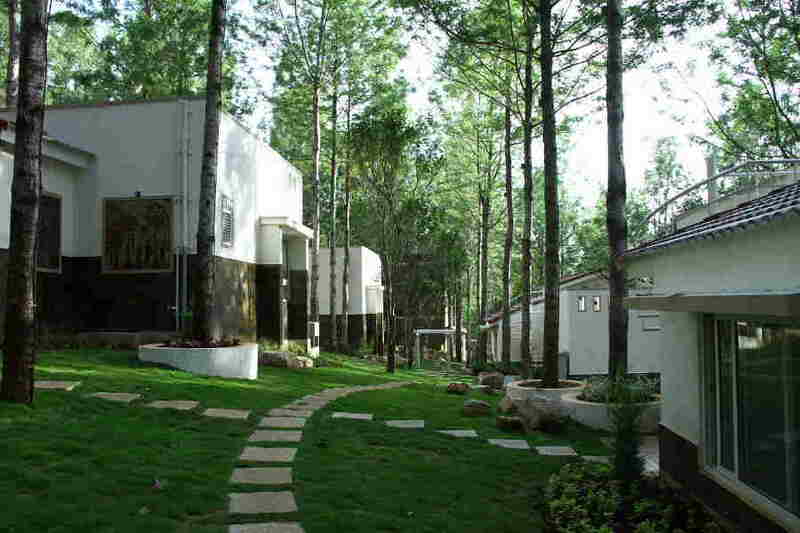 Soak in the solitude and feel one with nature at the Resort Near Shervarayan Temple, snuggled near orange orchards. 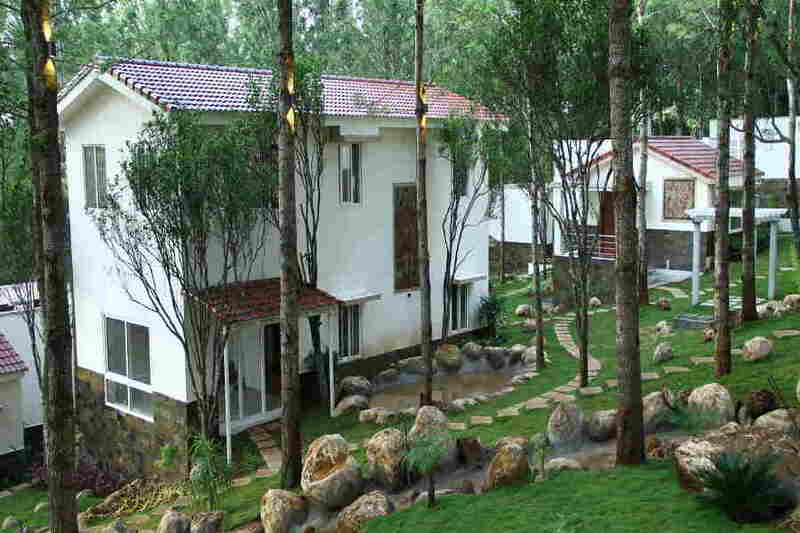 The Resort Near Shervarayan Temple is in Yercaud, a stunning hill station near Salem in Tamil Nadu. The mesmerizing Shervarayan Hills of the Eastern Ghats provide the backdrop for this heavenly destination. Situated at an altitude of 4,970 feet above sea level, this land of peace is named after the dense forests near the lake of the same name. Coffee plantations and orange orchards greet you at every turn of the road. The exterior of the Resort Near Shervarayan Temple is a mix of classic contemporary and traditional Tamil architecture styles. This resort welcomes guests with paramount standards of hospitality and luxury. 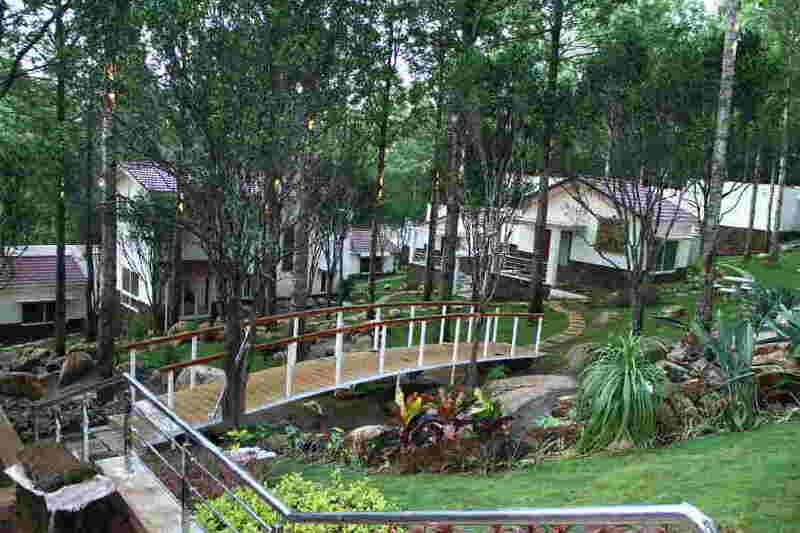 The landscaped garden is spectacular with rocky and boulder fixtures and an artificial waterfall that cascades by. The wooden bridge across the waterfall stream is a vantage point for soaking in the heavenly beauty around this resort. The sprawling lawns and a divine lily pond make for some eye candy.The hammock and swing chair set right into the landscaped garden are perfect spots to dream or snuggle up with a book from the library. 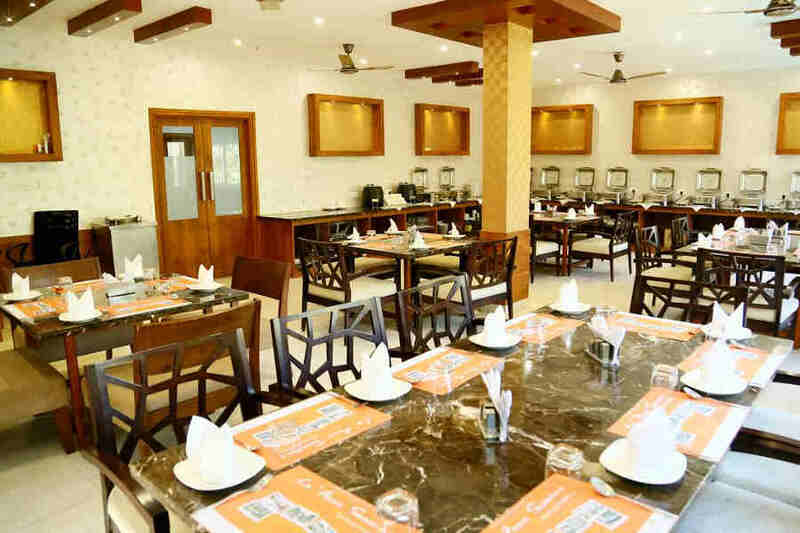 The multi-cuisine restaurant serving lip-smacking Indian and Oriental delicacies have an elegant ambiance with its wide-open windows offering spectacular visuals of swimming pool and orange orchard. There is a kid’s play area and an indoor games arena to keep everyone happy as well as a large swimming pool to chill out in. The conference room is perfect if you intend to mix business with pleasure. 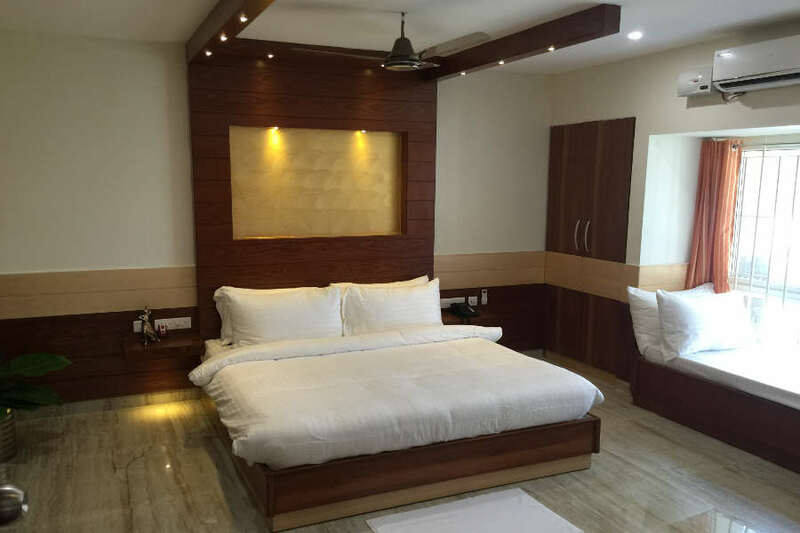 The exquisitely private villas at the Resort Near Shervarayan Temple are classified into four categories—standard, deluxe, premier, and family. All villas have private terrace gardens and overlook either the stunning hillside or orange orchards. 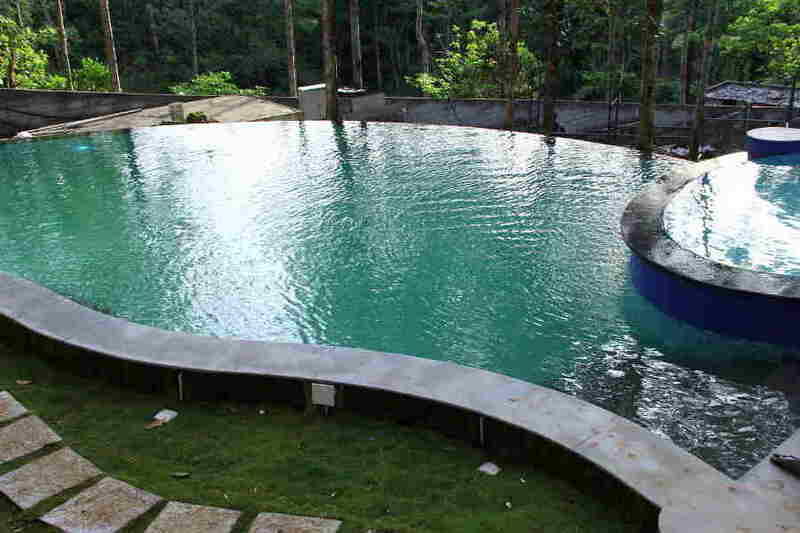 The ideal location to set aside worries and relax in the lap of nature. 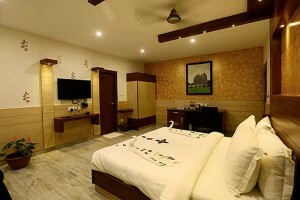 All are double occupancy room. All promotional bookings are non-refundable. Cancellation before 72 hours prior to Arrival – 20 % of the booking amount will be deducted along with the bank charges. Things To Do This resort offers a variety of in-house activities like nature walks through orange orchards and the organic farm. The swimming pool, library, and indoor activity centre at the resort are some other options for you to try your hand at. If sightseeing tops your list, you could explore Kiliyur waterfalls, a spectacular sight where excess water from Yercaud lake and the streams of Shervarayan Hills falls from a height of 300 feet. A good spot for boating and swimming, trekkers can go through the forest from the lake to the bottom of the falls for a thrilling experience. Shervarayan Temple, located on the highest peak of the hills, inside a dark and narrow cave is also worth a visit. The view from about 5,000 feet is breathtaking. 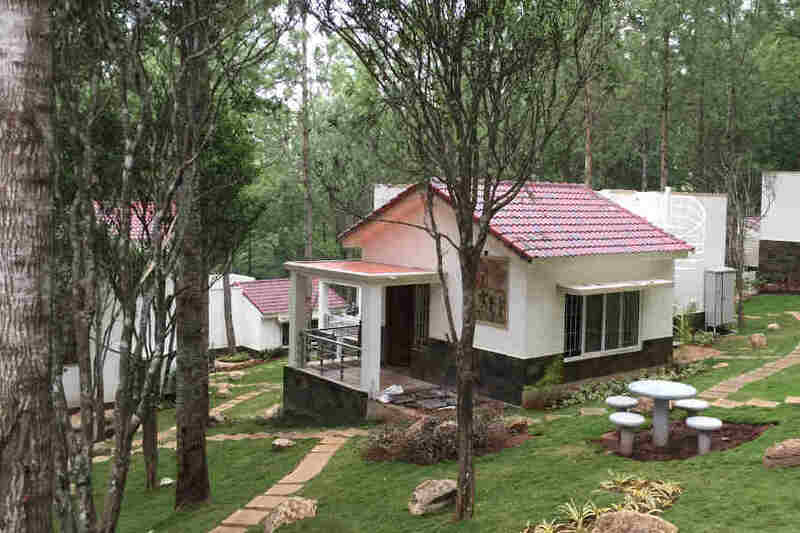 Another attraction is Pagoda Point, on the eastern side of Yercaud Hills. Also known as Pyramid Point due to the four piles of stones that form a pyramid .Big Lake, a manmade lake also known as Emerald Lake, offers boat rides. Deer Park and Leisure Park are located adjacent. Botanical Garden and Anna Park are also close by. Salem Airport is nearest to Yercaud at 46 km while Thiruchirapalli Airport is at a distance of 198 km away. Kempegowda International Airport, Bangalore, is 249 km away. Salem Junction is the nearest railway station at 32 km while Erode Junction is 96 km away. Bangalore City railway station is situated 218 km away from Yercaud. Salem is 38 km away while Erode is at 95 km along SH 188 and NH544, respectively. Coimbatore is at a distance of 196 km via NH 544 while Bangalore is 215 km away along NH 44.